Time to let your hair down, get together with some friends, and hopefully get some gaming in. As usual, we've got some bite-sized stories we've collected together over the past couple days and serve them to you now. 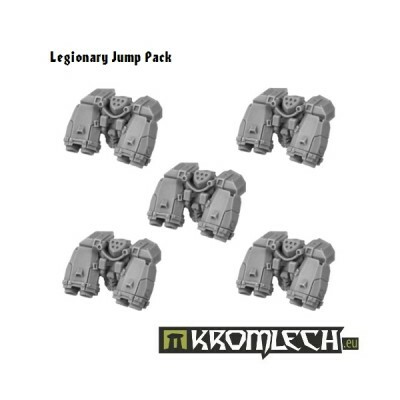 In this batch we have: AMP Adventures Collection Available Now, Res Publica by Reiner Knizia returns This Summer, Rebel Minis Releases Earth Force Kodiak Class Battlesuits, Dave Chalker’s Top 10 Tips When Negotiating Contracts, New Perk Added To Another World Indiegogo campaign, Kromlech New Release - Legionary Jump Pack, New Front Arc Marker Released by Tabletop-Art, ClearHorizon Miniatures Releases the 28mm Nemesis Light Strike Vehicle, Club Fantasci Interviews Karl Fenner of Common Man Games About Police Precinct: Uplift, Veil Fall Dark Future Horror Miniatures Kickstarter By Erebus Studios Running Now, and Victrix Ltd 28mm Napoleonic French Artillery - slight delay. Discover the secrets and excitement waiting for you in AMP: Year One, Third Eye Games’ modern supers RPG. 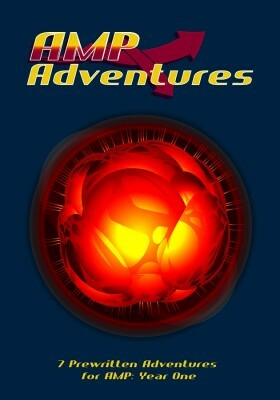 Each adventure (7 in all) highlights the unique aspects that make up both the game’s deep setting and awesome mechanics (even adding new variations on existing powers). 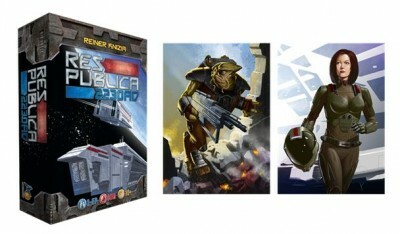 Res Publica: 2230AD is a space themed, card game for 3-5 players, will launch on Kickstarter at the end of July and will be released in Essen Spiel. The Earth Force Earth Force Kodiak Class Battlesuits Box set contains 3 Battlesuits, all pewter-metal with 40mm bases. Perfect for 28mm Sci-Fi and future games. 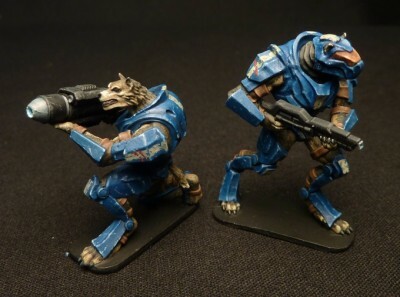 Also, check out our other Earth Force 28mm! DGS Games has released a work in progress photo of the Ventarx creature from their Creatures of Faelon Kickstarter going on now. Renown sculptor Patrick Keith has sculpted this fantastic flying demon. 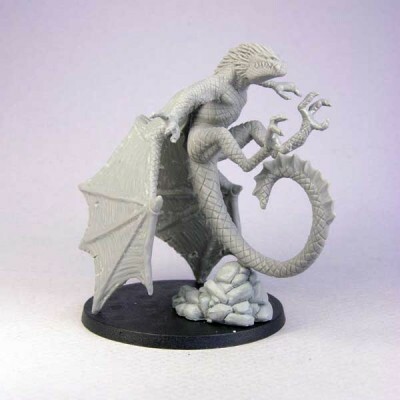 This model adds flying creatures and models rules to the Freeblades game system. The Ventarx is a good substitute for a Marauder in the Grular list, or creature to hunt in one of our scenarios. 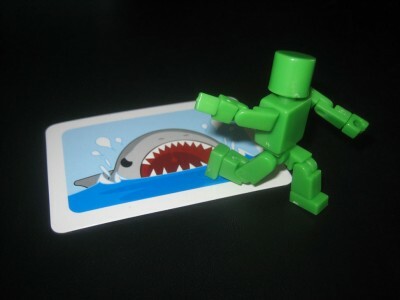 Dave shared with The Meeple Mechanic 10 tips to ensure you the designer have done your due diligence before signing a contract with a publisher. We've a short slowdown on our crowdfunding campaign... and now we will try to give new life to it!!! And help our backers to reach the stretch goal of 1000€! WE'VE ADDED A NEW PERK! SELENE REDUX, RESIN LIMITED EDITION 100 ex numbered !!! A limited edition version of our most beloved SELENE, called SELENE REDUX, sculpted by Jarek Jazban and converted by Kamil Milaniuk (Smok)! HURRY UP for EARLY BIRD OFFERS! are you ready for Legion airborne assault? If not, now you will be ! 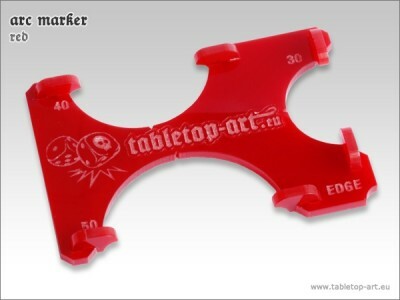 The arc marker is an ideal tool to mark the 180° front arc (90° marking is also possible) on round lip bases. We have three versions: Acrylic glass black and red or MDF. Simply push the base into the slot, hold on to the base and the marker, and draw a line along the clip. These clips have the same curve as the edge of the base which makes marking the front arc easier and precise. You can make the marks using permanent marker, a brush or, like in the example, a pencil (which is removable). You can glue the clips into the marker or you just plug them together. So you can remove the clips from one side in case you are using a base that overlaps. If you want to glue them together, we would recommend wood glue, so that in case you're using acrylic glass you have still the option of removing the clips. 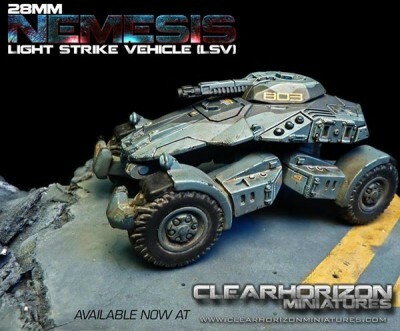 The Nemesis LSV has finally been released to the general public! All pre-orders are out and now everyone is able to order one. Designed to carry a driver and passenger, or just a driver with an advanced AI system to complement, the Nemesis is cutting edge technology on any battlefield. Emission absorbing coating, advanced ECM/ECCM sensor suite and high-megawatt plasma weaponry make the Nemesis a staple in symmetric and asymmetric Special Operations Warfare. Its four-wheel independent suspension and power train redundancy allows it to take a hit and keep on traversing the most difficult terrain. 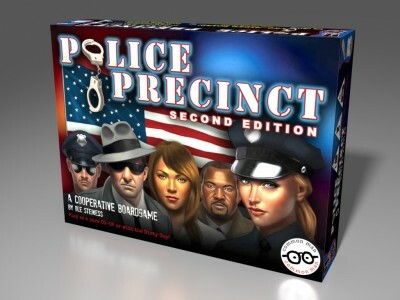 David Lowry interview Karl Fenner about the upcoming July 7th launch of Police Precinct: Uplift from Common Man Games. Veil Fall will be a miniatures board game based on our Veil Fall universe, or Dark , Future Horror combined with fantasy elements and a strong influence from masters of horror such as H. P. lovecraft and story and theme influences taken from the Dark Souls series and the recent Bloodborne game. This means much of our setting , story and background will be told through hints and delibrate gaps in the story and background will be made leaving it to you the gamer to come to your own conclusions on what was , what is and what will be. Update on French Artillery 1805 - 1812. We received a second set of test shots last week that exhibited minor fill and flashing errors. This was caused by some of the fine detail on sword bayonets and bucket handles. This has meant that the tool is back in the tool room to have these finer parts modified thus eliminating the fill and flash issues. Unfortunately the tool maker who is working on the French artillery tool is on holiday until the middle of next week and as a result the modifications will not be made until his return. Our sincere apologies for delay. This artillery set is without doubt our most detailed figure set to date and our first Napoleonic set that has been designed digitally. It is important that we iron out these minor errors so we can deliver a superb set of historical figures for our customers. I will keep everyone abreast of any new developments with the French Artillery 1805 - 1812. On a more positive note over the next 2 weeks we will be showing digital renders of our Ancient Spanish set which includes unarmoured Iberian warriors, an armoured set of Iberian warriors and finally Balearic slingers. All 3 elements will have command figures. Finally we will also be showing renders of the Napoleonic French artillery 1812 - 1815 including the XI 6pounder gun.